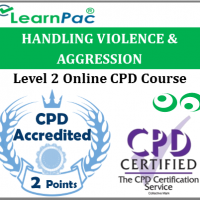 Welcome to our online dual diagnosis training course for healthcare and social care providers. 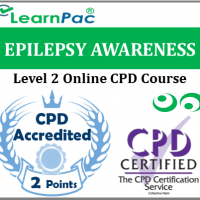 Our online dual diagnosis training courses are developed in line with the latest UK legislation and meet the requirements set out by the National Health Service (NHS), Skills for Health’s UK Core Skills Training Framework (CSTF), the Care Quality Commission (CQC), Skills for Care, UK Health and Safety Executive and other professional and regulatory bodies. What is covered in this online dual diagnosis training course? Who is the online dual diagnosis training course for? 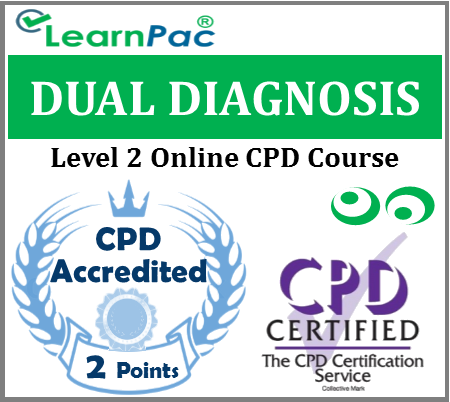 Our online dual diagnosis training courses should be completed by all healthcare and social care staff. This includes voluntary staff and unpaid working in NHS and private hospitals. Locum doctors, locum allied health professionals, agency nurses and healthcare assistants can also complete these e learning courses. These dual diagnosis training courses are also relevant for health and social care support workers, including those who work for nursing care homes, residential care homes and charities. At the end of this dual diagnosis e-learning course, learners will be required to complete an online assessment. On successful completion of the knowledge test (80% pass mark), learners will be able to download a FREE CPD certificate that is valid for one year. 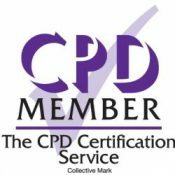 The content of this online dual diagnosis training course has been independently certified as conforming to universally accepted Continuous Professional Development (CPD) guidelines. After adding your dual diagnosis training e learning course (s) to the shopping cart (by selecting Add to Cart), you will be able to make a secure payment using all major credit and debit cards. Dual diagnosis (also called co-occurring disorders, COD, or dual pathology) is the condition of suffering from a mental illness and a comorbid substance abuse problem. There is considerable debate surrounding the appropriateness of using a single category for a heterogeneous group of individuals with complex needs and a varied range of problems. The concept can be used broadly, for example depression and alcoholism, or it can be restricted to specify severe mental illness (e.g. psychosis, schizophrenia) and substance misuse disorder (e.g. cannabis abuse), or a person who has a milder mental illness and a drug dependency, such as panic disorder or generalized anxiety disorder and is dependent on opioids. Diagnosing a primary psychiatric illness in substance abusers is challenging as drug abuse itself often induces psychiatric symptoms, thus making it necessary to differentiate between substance induced and pre-existing mental illness. Those with co-occurring disorders face complex challenges. They have increased rates of relapse, hospitalization, homelessness, and HIV and hepatitis C infection compared to those with either mental or substance use disorders alone. The cause of co-occurring disorders is unknown, although there are several theories. This online dual diagnosis training course was developed in line with the CSTF learning outcomes. I found the course easy to navigate through and passed first time!